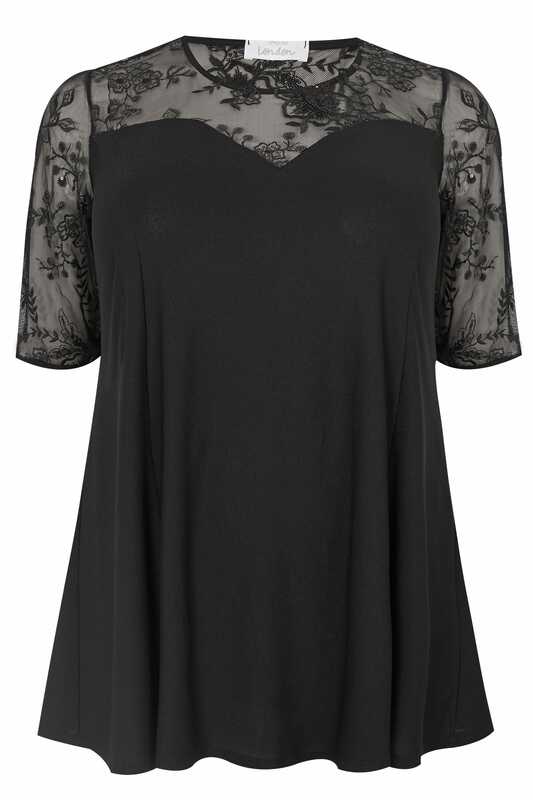 Treat yourself to a little sparkle with this black peplum top from Yours London. 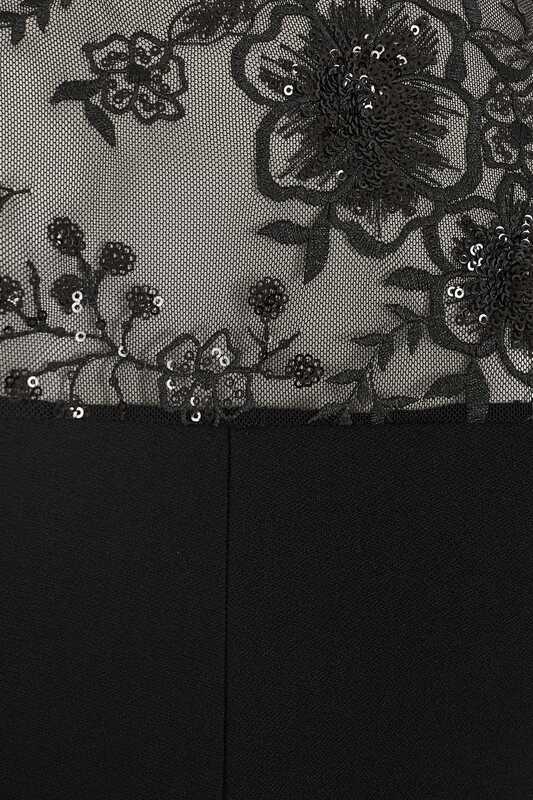 With intricate floral lace inserts to the shoulders and sleeves, it is adorned with subtle sequin detail for an added touch of glam. 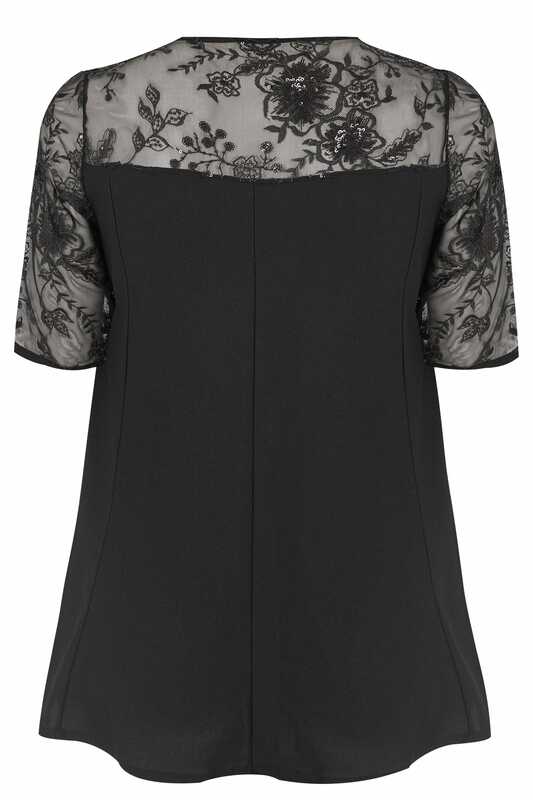 Ideal for wearing this party season, dress it up with black jeans and heels. It will keep you sparkling all night.